Although Laos is a landlocked country, Mother Nature is still spending a special feeling for it with the stunning views and amazing waterfalls. 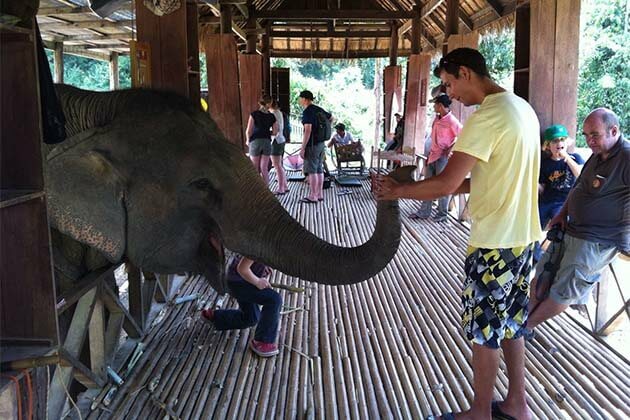 Travel to Laos, visitors not only have a chance to explore the magical beauty of “the land of a million elephants” where the treasure stills hidden deep into the ground. 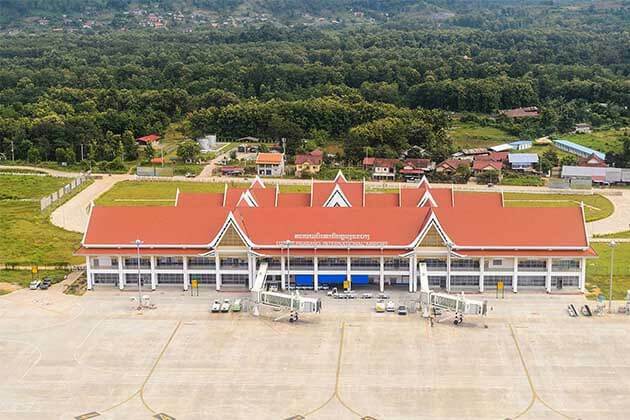 Being a country with specular natural landscapes, Laos is really a nation for anyone who loves finding the mystery. 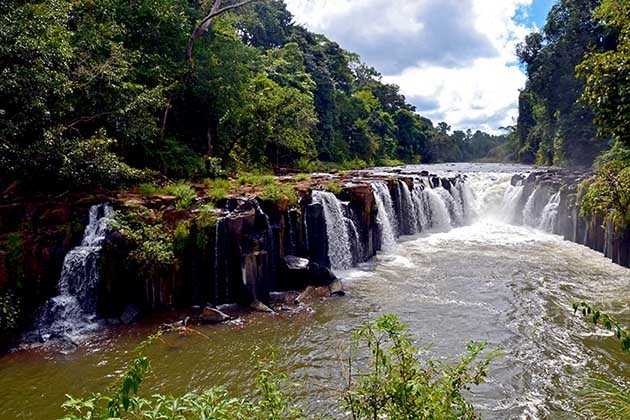 So, Go Laos trips, we head you off to the best waterfalls in Laos along from the north to south. Kuang Si waterfall is the most famous falls in Laos with the unique structure, cascading 3 tier waterfall nestled amidst lush tropical foliage just like in those picture postcards is even better when you actually see it. Visit Kuang Si Waterfall in Luang Prabang, Laos, as you lost in the paradise which appears in your eyes as the picturesque. Strolling around the waterfall, listen to the sound of birds mix with the sound of the waterfall, I bet that there is no harmony better than its. Dips in its cool soothing water to get out the mess from out there to enjoy the best moment. if other falls fall down as the silver silk, Kuang Si Fall owns the unique color, the pure gush of water. Certainly, if you visit Kuang Si, you can’t deny its beauty. Known as an aquamarine basin perfect for swimming and limestone rock formation perfect for lounging on during the rainy season. 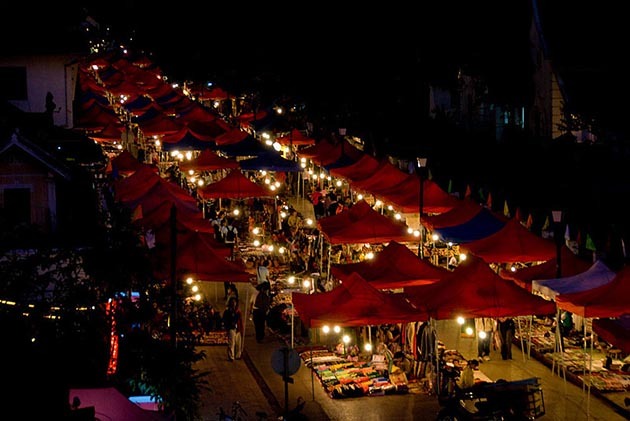 During your tour in Luang Prabang, Tad Sae is one of the highlights in Luang Prabang which attract many tourists to come here and become the best place in the weekends. 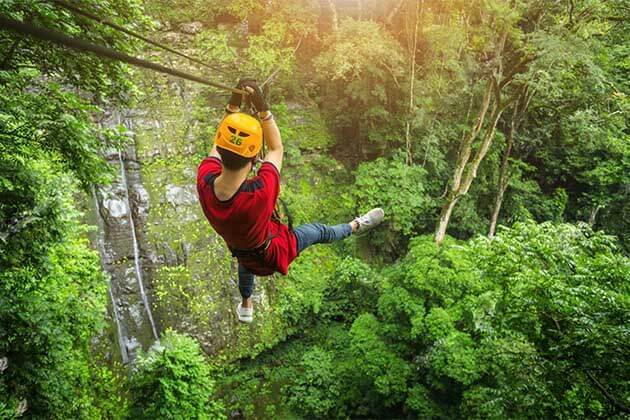 Travel to Tad Sae, you not only see the amazing waterfall drop from the top down but also you can take part in the activities as zip lining. Come to Tad Sae and see the amazing waterfall in Laos. Have you ever seen the 100 waterfalls in Laos? It’s really the best majestic waterfall you must see in Laos after Kuang Si and Tad Sae waterfall. 100 waterfall is always the ideal destination for the adventure seekers out to explore the mysteries of Laos, with a trek through the Nong Khiaw area in search of the 100 or more waterfalls along the way. There is nothing to say that the journey is thrilling but it’s not easy to come. Travel to 100 waterfalls which is worth the cost. Remember that when climbing up to the waterfall, the path is slippery. That’s a reason why you should wear sturdy waterproof shoes. 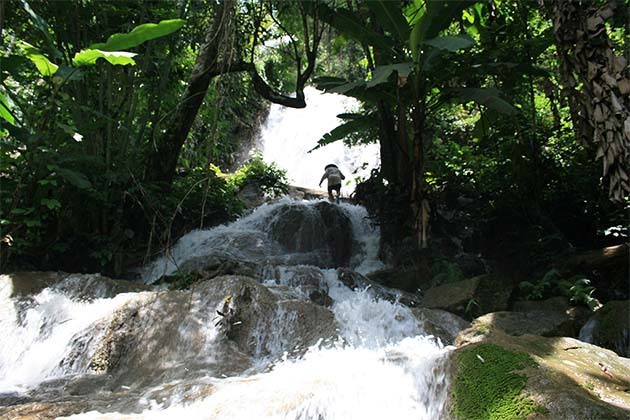 Walk around from an hour to 2 hours to see the stunning views of a mighty cascade at the top. 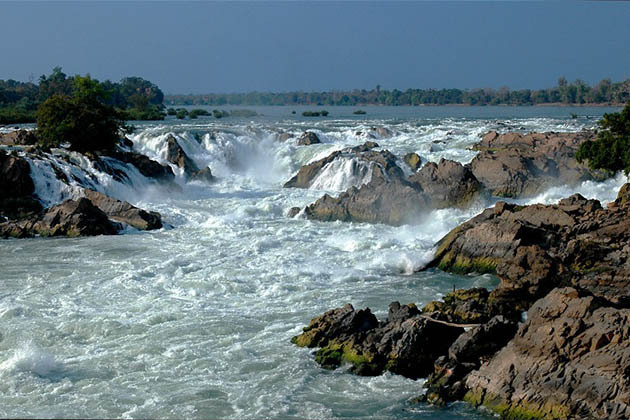 Become a part of Si Phan Done or 4000 Islands, The Khone Phapheng Falls are in southern Laos on the Cambodian border. These falls perplexed the French who wanted to find a way to travel on the Mekong River to China. To make the route from Don Det to Don Khon islands, the falls were built as the railroad. Nowadays, you can see the remnants which exist and become one of the most beautiful waterfalls in Laos. If you are in Oudom Xai, don’t miss Nam Kat Waterfall which is always sited in the list the best place for trekking. It takes two and a half hour hike through the Houy Nam Kat Reserve to the remote falls and picnic lunch before hiking back down. 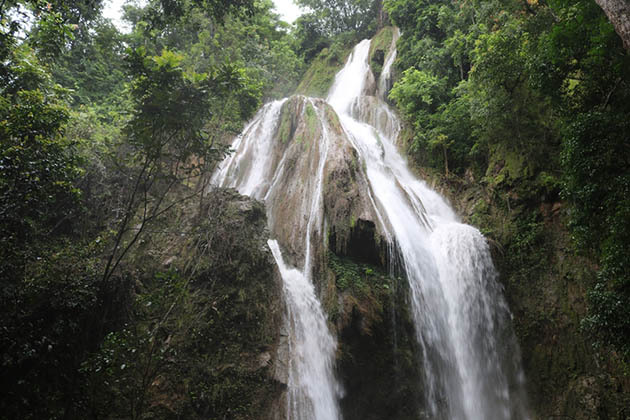 Nam Kat Waterfall is always the center of attraction at an eco-tourism resort supported by the government. Champasak seems to be the home of the most beautiful waterfalls in Laos. travel to Champasak in the autumn, you must see Tad Yang Falls which is compared to the autumn picturesque. Plunging down 40 meters from the cliff into the pool, standing near the fall, fell refresh by the ribbons of water splashing your face as the spray. Surely you need to walk down steep slippery steps to get up close with the falls, thus comfortable walking shoes are a must. Definitely, you don’t come here to see the fall, why you try to cool off and swim in the hot summer months. 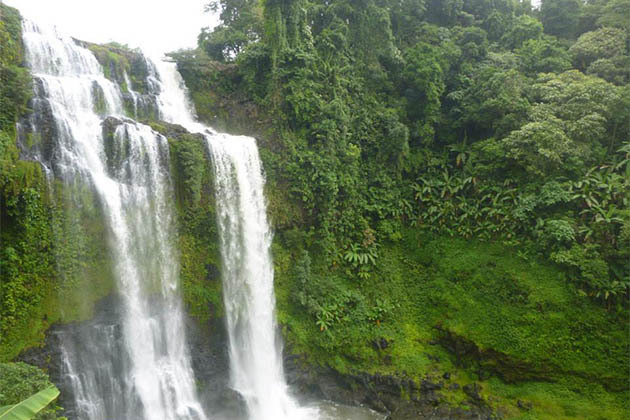 Surrounding the Tad Yuang Falls, for anyone who likes to take an adventure tour to cross to the lovely jungle trails. 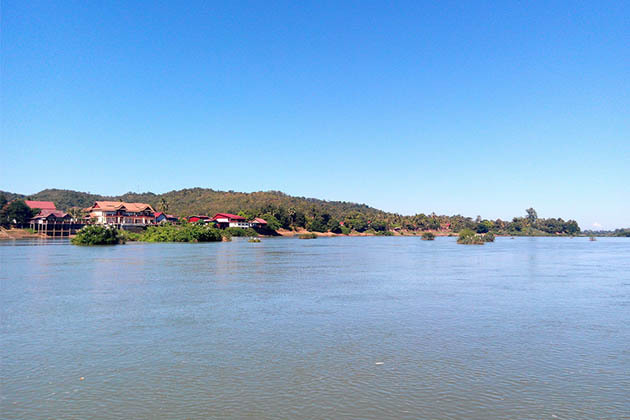 Tad Fane is known as the green lungs of Champasak Province with its gorgeous scenery, traditional villages and spectacular waterfalls like the Tad Fan. 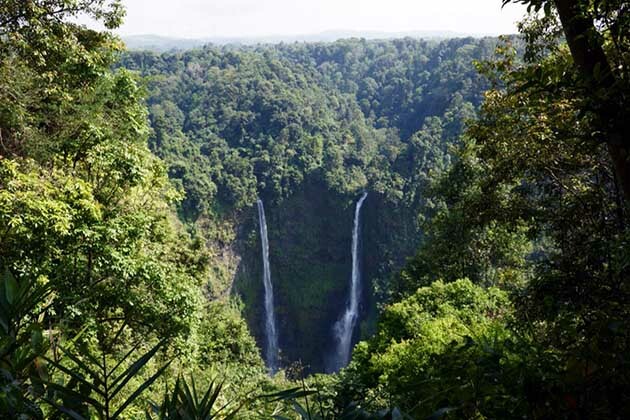 This stunning twin fall amidst the scenic rainforest takes a drop of 100 meters down a steep cliff into a gorge. If your trip in Champasak, the unexplored forest terrain is great for sight rare birds, elephants, and the elusive leopard. If you want to visit the waterfall which less tourist than Kuang I falls and Tad Sae falls, Tad Thong is an option for you. 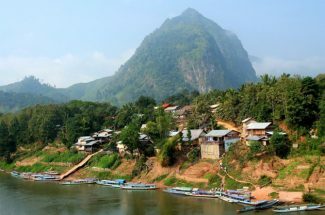 You will be amazed by the lovely beauty of its which tucked inside a dense jungle near Luang Prabang is a great choice. Travel to see the best scenery of waterfall which the waterfalls down as the silver silk blinking on the ground. Deep yourself into the cool water then take a picnic lunch around it is the best trip you should try.